Recently I walked into the hospital for an overnight shift and instead of the constant buzz and hum of an Emergency Department, I felt a somber air. The disturbing quietness that always follows a tragic outcome. Earlier that evening a baby had arrived via ambulance coming from the field, medical condition unknown. The baby’s pulse was lost en-route, CPR was started in the ambulance and continued after arrival. Every attempt was made to revive the baby, but all were ultimately unsuccessful. Time of death 1745. Emergency Department, it’s right in the name. In my job, emergency is the norm and tragedy is common. As an attending physician in the ED, one must figure out a way to manage all of the hurt and despair that comes through the hospital doors daily. Hospitals are healing centers, but they also inflict their own brand of pain. Anyone walking in an ED is having a pretty rough day – from crying kids, traffic, stress, long wait times to the inevitable high costs of treatment. Parents are often terrified, which contributes to already high levels of anxiety – whether that is because of an injury (such as a broken bone) or inexplicable symptoms (abdominal pain, chest pain, headaches, etc). Regardless of the reason for the ED visit, there are two common themes: a) people have scared the crap out of themselves by trying to diagnose via Google and b) they have incredibly high expectations of me to instantaneously diagnose/treat whatever the issue is (no matter how complex). I learned very quickly how to compartmentalize my emotions to survive the pressure. I worried that if I didn’t stuff my emotions down, the toll of the tragic/unbelievably sad stories would overwhelm me and possibly affect my ability to do my job. Emergency Medicine is conducive to this flawed coping mechanism due to its brief and transitory nature. We take the ill, do our best to improve their urgent medical condition, then admit them to the hospital or discharge them. Some days it is easy to stuff the emotions down, other days it is much harder. Those are the days when I have to deliver a new cancer diagnosis or when patients are actively being resuscitated or when we see any form of child abuse. This particular day, when I realized I was walking into a department that just lost a baby, my heart sank. I am a mother of an almost 2-year old beautiful boy. Before we had this rainbow baby, I had a miscarriage, and then another one. If you would have asked me what grief was before I experienced personal loss, I’m not sure I could have answered. Losing my unborn babies (one after another) sent me to a place where my normal coping mechanisms failed. For the first time in my life I was not able to compartmentalize and move on as if everything was normal. When my husband and I had our first miscarriage the amount of agony and loss I experienced took my breath away. We went to our first doctor appointment with butterflies in our stomachs super excited to see this beautiful addition to our family on ultrasound. We had told our families we were pregnant and were eager to see for ourselves what we had created. When the ultrasound first located the baby we were rapt with anticipation, but just like the ED on a bad day … there was a somber, quietness to the air. There was no heartbeat. The doctor just kept saying “I am so sorry.” Over and over. I felt like I had been punched in the gut. I couldn’t put this emotion anywhere; it was way too big. Way too heavy. My sadness was like a freight train at full speed, fast moving and unstoppable. It was frightening. Unfortunately, just when I thought I had regained control of ‘the train,’ we had a second miscarriage. Despite all the pain from the first failed pregnancy, we were very excited to be pregnant again. We thought, ‘this time it will be different.’ I intentionally delayed scheduling my first pregnancy appointment because (unless things went well) we were going to be reliving a nightmare. Finally, I made the appointment. That very same day, out of nowhere, I started bleeding. The bleeding was heavy and felt like it would never end. Soon, we discovered that this pregnancy was also not viable. But this time my emotions were fiercer, darker, and seemingly bottomless. There was no compartmentalizing. It was all consuming. It was like I had fallen into a deep dark pit, that I had no idea how I stumbled into in the first place. I didn’t know where the ground was, and I was alone. I wanted desperately for someone to turn on a light, to show me the way out. To be back in control and just … be ok again. But no one knew how to help, least of all, me. Not a day went by without someone telling me ‘everything will be ok’ or ‘you are still young’ or that ‘you have so much to be thankful for’ or instructing me to ‘don’t be so sad, God is good.’ The comments were meant to be helpful, but instead dismissed my pain, which made it hurt even worse. It was like they were telling me in my darkness, ‘just turn on the light, it is so easy.’ No one knew how to help, and I didn’t know what I needed or what to ask for. Grief for me was like a blindness that I didn’t know how to cure and a fear that the darkness I was feeling would never go away. I wasn’t sure I would ever see light again. It was the most isolating thing I have ever experienced. So I fell further into the pit. Time was lost, I walked through life with muted emotions, not really able to be happy about anything. I functioned, but it was like I was on auto-pilot. But then, after what felt like a very long time—countless hours of counseling (some because my husband dragged me), conversations with other couples who had similar experiences, and buckets of tears, I felt a little better. Stillness arrived and I no longer had the feeling of air rushing through my ears, and there was quiet. There was calm, and I realized I didn’t feel like I was falling anymore. It was like I finally saw a light, one that was really faint and in the distance at first, but slowly got brighter and brighter. Before I knew it, things felt a little more like they used to. But then they didn’t. Because now I knew. I had traveled through the darkness that was grief, and I will always know that it exists, what it felt like, and how grateful I am to have it be over. It is weird, because the arrival of light and calmness seemed to happen suddenly. I realize now that my moving through grief back to normalcy was a process of time and pain. Acknowledging the presence of darkness was necessary as was sitting in it and feeling. It hurt, and it was scary, and I hated it. But it eventually got better. Having been on this arduous journey of grief, I am no longer able to compartmentalize. I handle tragedy that shows up to the ED in a very different manner. This particular evening, sitting there, talking with my colleague (the one who was there when the baby came in) about this horrific situation, I slowly walked back to the edge of grief, to the edge of the pit and looked down. I could feel in my bones what grief feels like, and together we grieved for this family. For the mom who would never get to hold her baby again, and for all the hopes and possibilities that had been imagined for this baby and family. And we honored those things, because that is how I have now managed to maintain an ability to really care about my patients. It felt strangely beautiful to be able to take a moment of silent reflection, honoring the family, bearing witness to the grief that will permeate these people that I never even met. We sat there and cared about them in a way they will never even know, and silently prayed that they travel through this bumpy ride with as little darkness as possible. Yet knowing that unforeseeable depths of pain and absolute darkness of days are inevitable for anyone dealing with loss. To know that, and make space for it instead of saying dismissive comments like, “at least you have the rest of your family, or “it will get better,” is the only way to truly honor it. And I realized, that I am thankful for my experiences, my grief, because I have a far greater capacity for compassion, thoughtfulness and caring, and empathy. In the end, if we are trying to heal the ill and help those in need, we have to make room for the pain, and make room for the grief if we expect to make room for healing. How about you? How do you manage the tragedies you see? 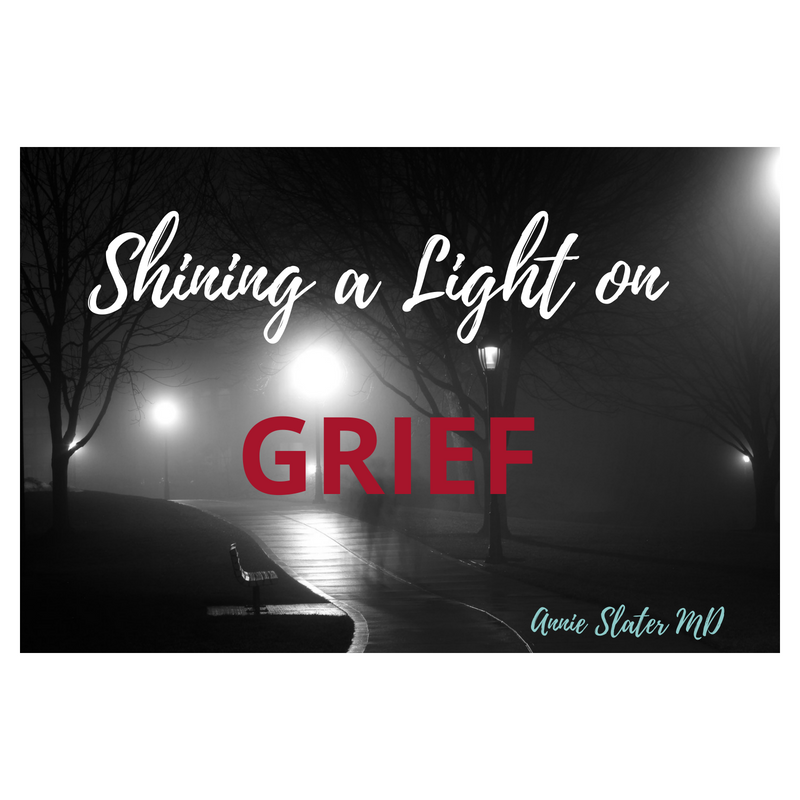 Do you have a grief story? As a side note, my husband and I were directed to this video done by Brene Brown that describes the difference between empathy and sympathy. It was incredibly helpful when trying to explain to people how we couldn’t explain what we needed and that what one really wants and needs is empathy. So if you need some tips, this is a great start. When I was in Medical School I distinctly remember rounding on patients to be its own form of torture. Our attending was the persecutor and students were the victims. Vague questions were often asked in a rapid sequence, which is hard in itself, but the question asked would have so many possible answers… it was as though we were expected to read the attending’s mind to determine which of the possible answers applied to the question. If a wrong answer was given, the response was dismissal, laughter, or other methods to humiliate us. As a medical student I was far from mastering the skill of thinking on my feet, accordingly, these moments usually left me feeling average to borderline dumb. Even when I knew the correct answer, the connection between my brain and mouth didn’t always work, especially in our large rounding group. I learned to despise and fear these daily instances. I don’t think that there is anything worse than being made to feel as though you are worthless, which is how I felt a lot of the time. 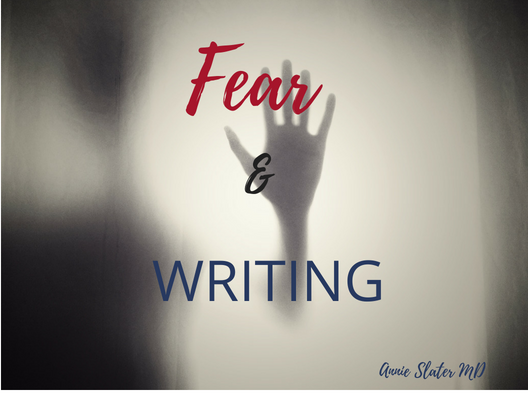 While some of this is undoubtedly rooted in my own insecurities, I also believe that this approach is designed to motivate by making you fear failure and fear being a failure. This method of teaching continues to be alive and well in medicine, and may actually be present in other areas of society. I now recognize this as a “shame-based” culture, in which the incorrect answer (the failure) is attached to one’s identity and makes one feel bad about themselves, instead of explaining things and encouraging one to try again. The issue is not the question/expectation or answer – it’s the response to wrong answers. This is a huge problem as it leads to less questions getting asked, less questioning of authority, less questions about therapies proposed by the supervising physician, and subsequently less learning. This same form of ‘teaching’ continued throughout my training, always in a slightly different form, but maintaining the general format, and I continued to be anxious. There was never a feeling of safety or acceptance for lack of knowledge, which is crazy, because we were literally attending School of Medicine! We were all there to learn! 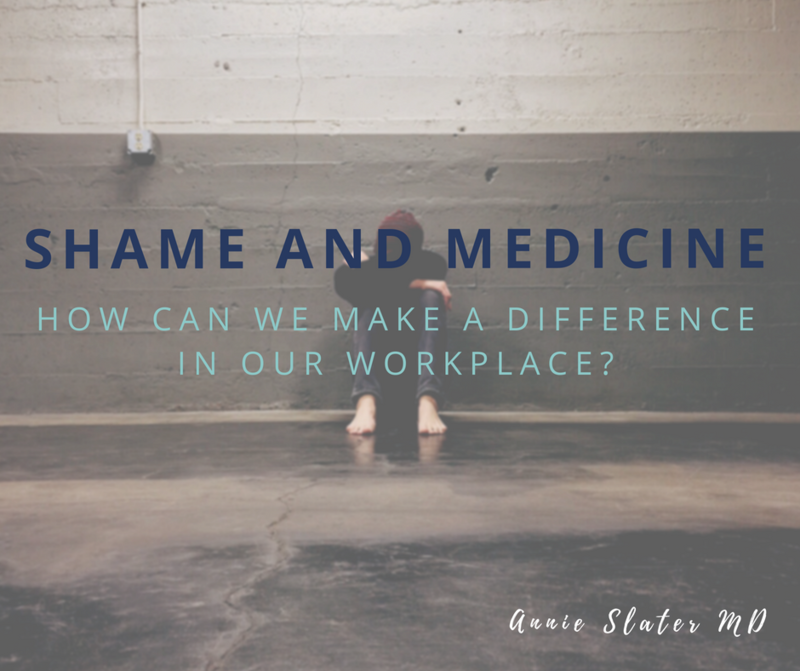 Having had time to reflect on my years in training and time to process how bad I felt during this period in my life, I’ve found myself passionate about changing the dynamic of shame in medicine and in my personal life. If you look around it seems shame is everywhere. Brene Brown, researcher and NYT best-selling author does an excellent job of discussing personal shame in her research, her books, and her TED talk. Her insights really opened my eyes to the damage this way of learning, being, teaching was doing to society. Constant shame creates a feeling of inadequacy and loss of connection with others. It is isolating and lonely. This term, ‘psychological safety,’ has been defined as “a belief that one will not be punished or humiliated for speaking up with ideas, questions, concerns or mistakes,” and coined by Amy Edmondson from Harvard Business School. It is an opposite of the shame culture. When I initially read the article describing the idea of psychological safety, I was surprised it was so simple, yet so elusive. As I mentioned earlier, I was ‘raised’ (ie my young professional career) in medicine, where there is virtually no psychological safety in the training of young doctors. If you are in a surgical sub-specialty, or you train in certain parts of the country, it is even worse. So, there is no lexicon even in medicine for this. If there is no place safety exists, then as one traverses from being a young trainee to being in a more senior position, the toxic environments of a shame-based culture persist, and one is then the owner and administrator of the toxicity. I lived in this environment. I was the scared medical student, the resident who didn’t feel as though I could do anything right. The fellow who was scared to always say what I thought, for fear of being wrong. It was hard, and it was incredibly lonely. So, what does one do? How do you change the culture? I personally realized that for MY working community, I needed to change. Let’s be honest, as a woman in medicine, we are taught to have an edge or no one will listen. It’s very hard to be a woman in a leadership position these days! I always wanted to be successful, but I wasn’t seeing results. I am a fairly nice person by default, but in challenging or stressful situations, I was using this nasty/hard-lined counterpart to push people to do what I wanted. It never went well. I also noticed I was particularly hard on medical students. I think it is because I was most mistreated as a student. I intentionally went into every shift with compassion and kindness, for my TEAM, my community. I made more efforts to have personal conversations with people, so I could see them more humanely. I chose to respond differently. I pimped less, taught more. I didn’t get angry when tasks weren’t done, instead I gently reminded and explained why it was important. I stopped reacting to people and situations. I also became intimately aware of my habit of being judgmental. Because I was raised in this environment, we are then taught to have a lot of judgment around others’ performances. I consciously try to stop myself from those thoughts, as it can taint my attempts to teach. These actions have notably changed the way I view my community at work–as a place I like to be, but also a place I feel as though I am effective. I think it is because I was able to create safety, and my teammates responded. I am NOT perfect, and will never claim to be, and sometimes, under the right circumstances, I slide back into old behaviors. But I am much better at recognizing when I do, because I lose my calm happy energy, and that doesn’t feel very good, so I try to get it back. What about you? Have you experienced anything I have discussed? How have you managed yourself? How have you tried to change the status quo? The first time I read those words was in the summer 2013. I was 34 and getting married. I found the book to be very interesting, but it didn’t ‘speak’ to me yet in my career. Perhaps because I wasn’t ready for the message. Perhaps because I wasn’t ready to face my fears, or was even aware of what I was afraid of. Then came the most tumultuous years of my life. In my personal life–I got married (yay!) to a wonderful guy, and love him dearly, but the transition to being married is definitely an adjustment. From a career standpoint, I started working as the Medical Director for a camp that cares for medically complex children in addition to being an attending in the ED of a children’s hospital. The transition was challenging and required efforts comparable to my training years. In 2015, I learned how palpable fear can be. We were excited to finally start our family in the spring, and were blindsided when we realized having a baby wasn’t going to be as easy as we thought. Over the next year we experienced miscarriages, prolonged medical fallout and a roller coaster of hormones that seemed to rage on endlessly. I felt a grief that I didn’t know existed (That is a post for another day…). Time slowed down, and we had some really hard days, weeks, and months. Somehow we found ourselves in an intensive counseling group that not only resulted in closure and ‘redemption’ from grief, but also an incredible transformation that brought us to an unshakable togetherness. It was a true gift, but nonetheless fear followed me. Our beautiful baby’s first day home was Nov. 11, 2016. We had a party to celebrate our homecoming as well as the election. And Donald Trump won. And me and my pregnancy hormones cried for a week. I cried for the little girl in me who wanted to see my gender crack the ultimate glass ceiling, and I cried for the world that our new president was creating for me and my little family. And I cried because I was scared. And then I read Lean In again. 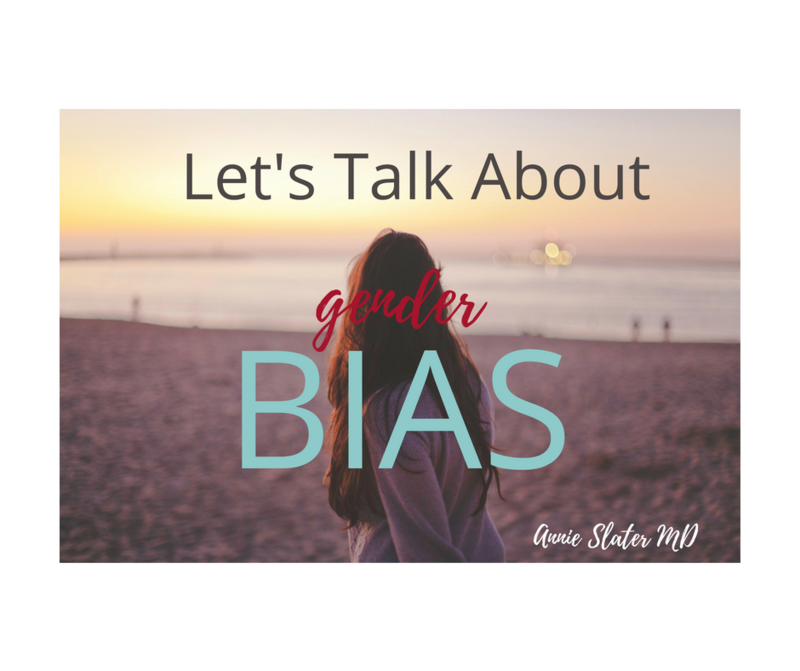 This time, when I read those words, ‘what would you do if you weren’t afraid,’ I suddenly had all these thoughts about women in medicine and the reality of gender bias and invisible barriers. I realized that more females make up our field than ever before, but the amount of leadership positions we hold is unrepresentative. That recent studies have reported women make about 20% less money than our male counterparts. But in truth the wage gap is still incompletely understood due to lack of widespread salary transparency. And most importantly, I realized that we as women still haven’t figured out how to fully support one another. Sheryl Sandberg, this is what I would do if I wasn’t afraid. Truth be told. I STILL am, but my fear is less than my desire to help other women, to start the conversation. How about you? What would you do if you weren’t afraid?